DJ Le Spam & Spam Allstars blend improvisational electronic elements and turntables with latin, funk, hip hop and dub to create what they call an electronic descarga. 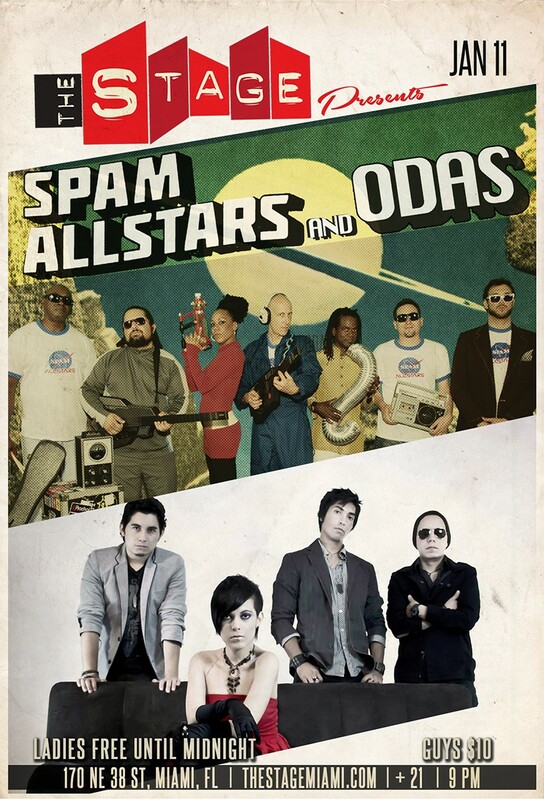 Considered one of the 10 best new artists of 2010 by RADIO CAN, the Latin Pop/Rock band ODAS is following the trend set by bands such as The Cranberries, La Oreja de Van Gogh, Mecano, and Presuntos Implicados among others. ODAS promises to add their grain of sand in the immensity of today’s popular music.